The Define series is reaching new heights in combining stylish, contemporary design with maximum functionality and noise absorbing features. The minimalistic, yet stunning front panel design, fitted with noise absorbing material on the inside, creates an aura of exclusivity. 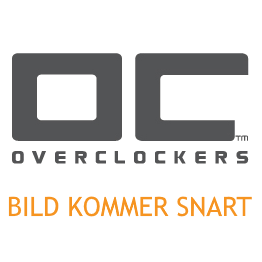 - Extra, vertically mounted expansion slot, suitable for fan controllers or non-input expansion cards. As the name implies, Define Mini is the smaller sibling of the acclaimed and award winning Define R2/R3 case. Being a Micro ATX version of Define R2/R3, it offers a number of interesting functions with a very stylish appearance. It's a case focused on low noise level, without neglecting other important features such as cooling, expandability and ease of use. The Define Mini excels in including a lot of features in a small size! 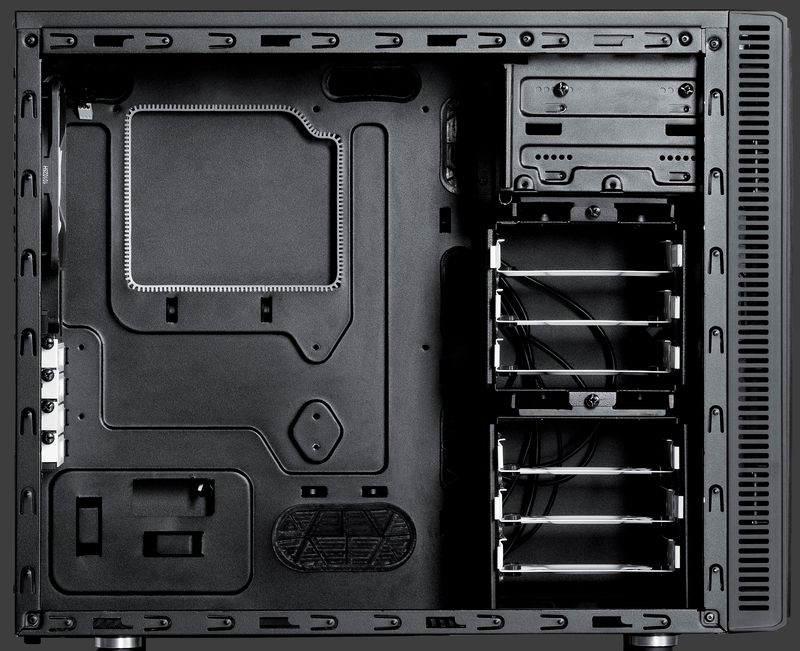 The patent pending feature ModuVent, in which you can choose whether to have fan slots in side and top panels open or not, makes the case appealing for users seeking optimal silence, as well as the performance hungry ones. The sleek black interior is matched with pre-fitted, dense noise absorbing material on the side panels, efficiently absorbing noise and vibrations. You can fit an astonishing total of six(!) hard drives into this case, using the user friendly HDD-trays. All painted in a nice white color and using black silicone mounts. 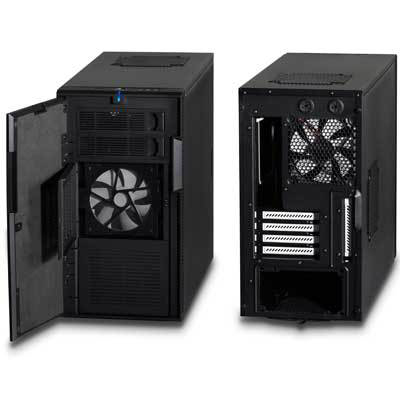 PSU is mounted in the bottom of the case, with a convenient pull-out filter beneath it.